The items are covered with white squiggles. 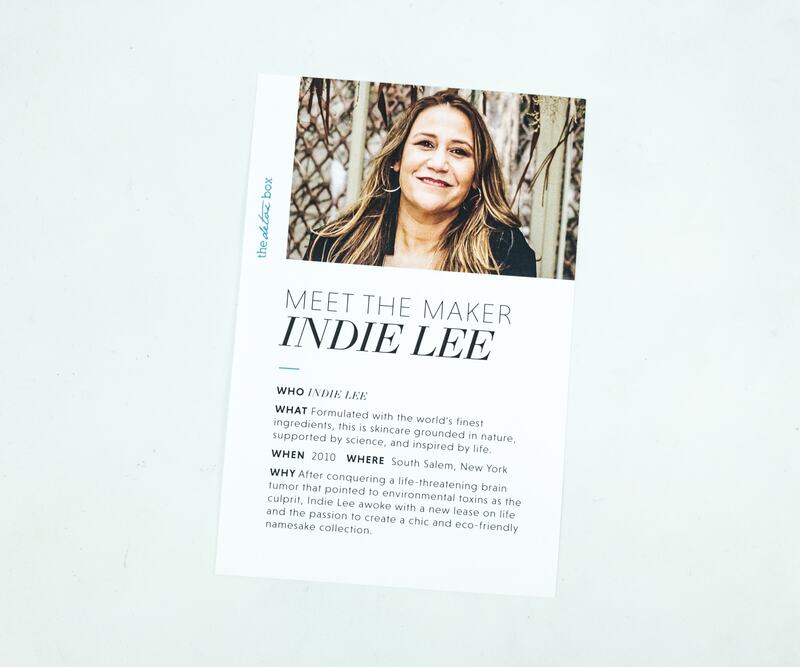 This month’s featured brand is Indie Lee! 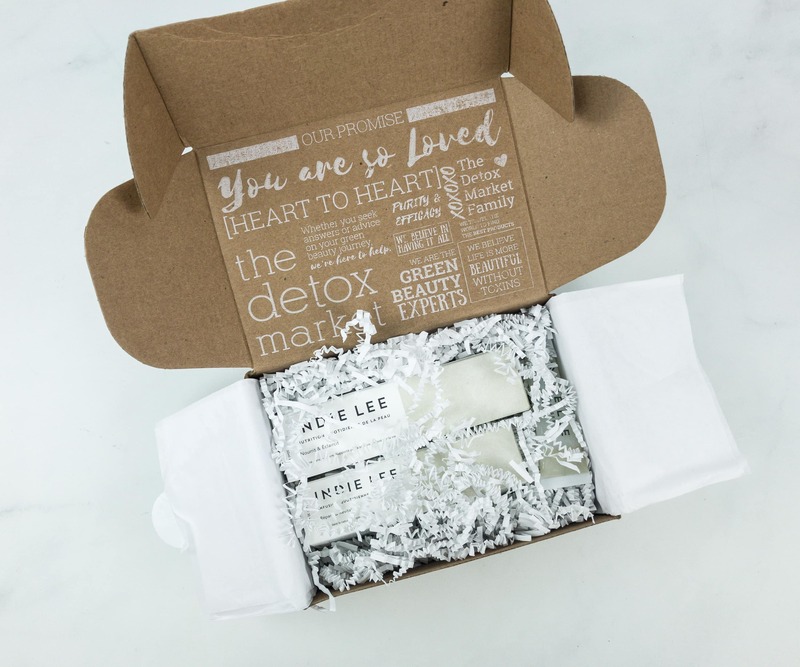 The Detox Market had a little Q and A with Indie Lee, where she also shared some personal information. I like the information card they provide! 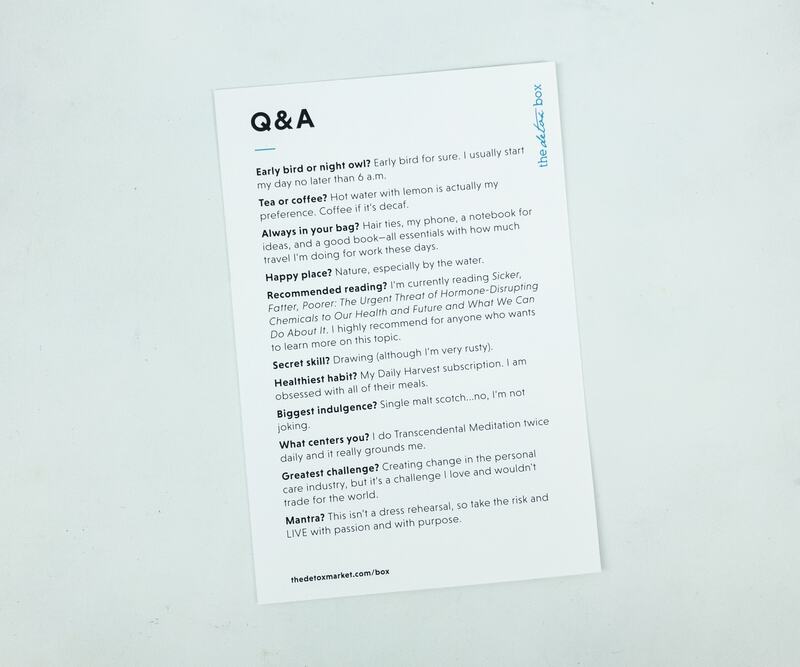 It’s complete with a product description, a list of key ingredients, and expert tips. 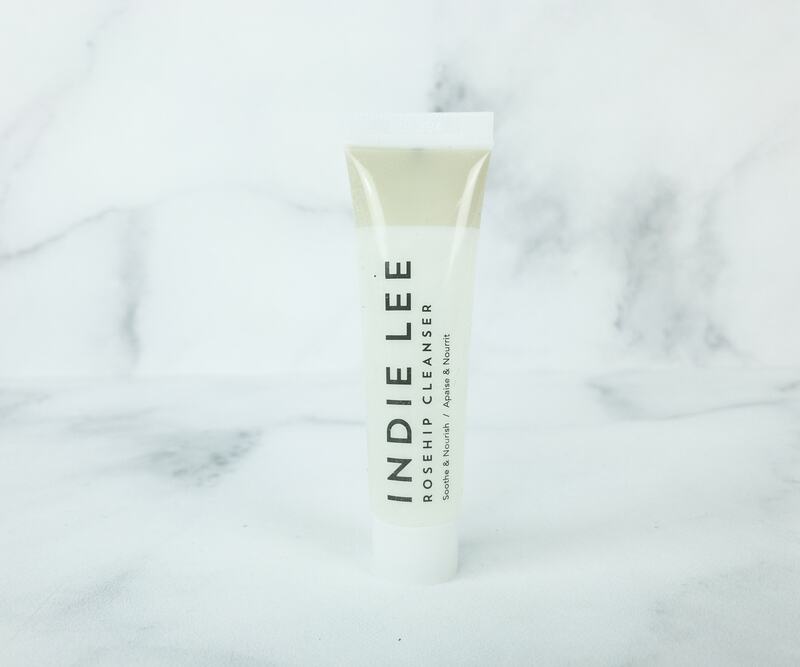 Indie Lee Rosehip Cleanser ($4.05) Made with rosehip seed oil and red seaweed, this mild cleanser creates a light lather that removes impurities and keeps the skin nourished. 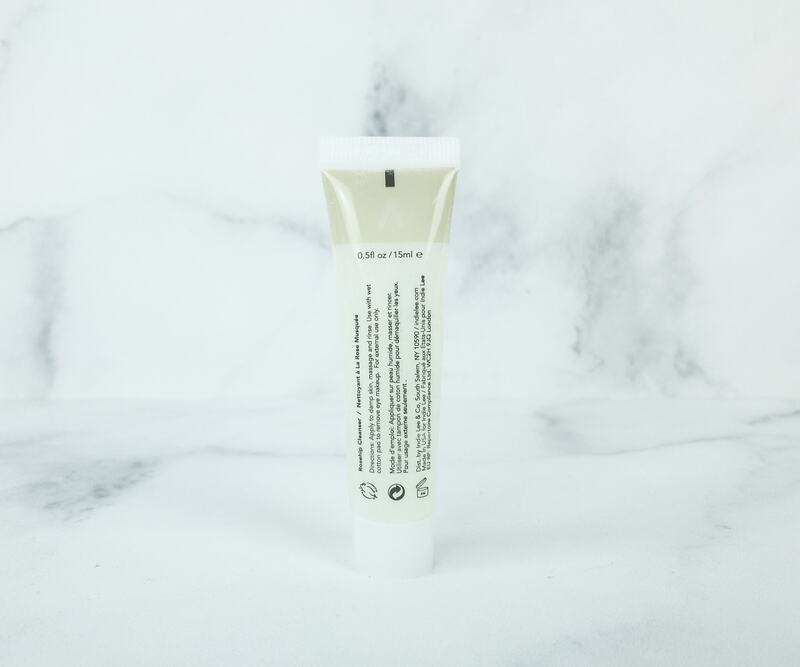 It leaves the skin soft and supple, and never stripped-off of moisture. The formula is also infused with vitamins A, C, and E. It has a delicate scent, which I love. 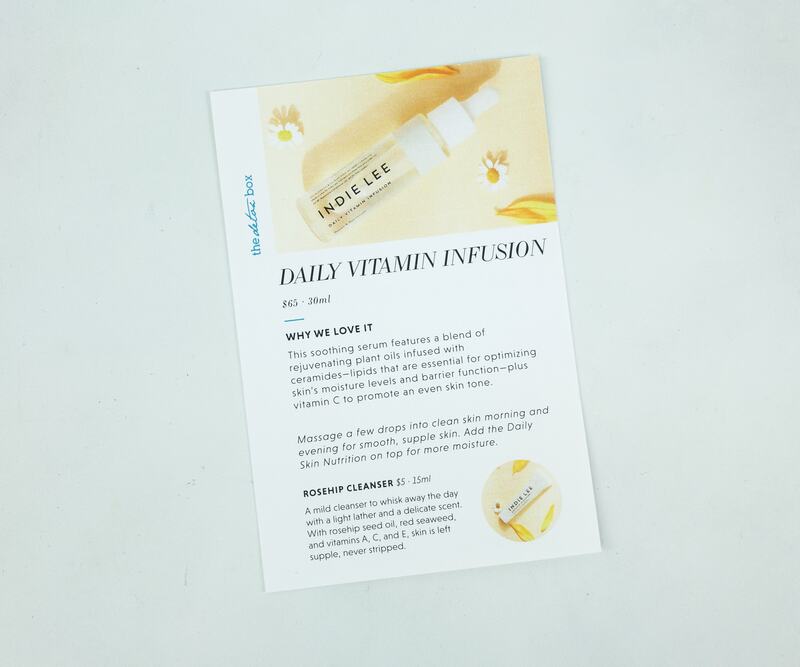 Indie Lee Infusion Quotidienne De Vitamines ($65) It’s a facial oil enriched with ceramide, a lipid that helps form the skin’s barrier. It also contains vitamin C, which brightens and evens out your skin tone. It’s easy to use, all you have to do is massage the oil on your cleansed skin. The oil is not heavy or icky. You can even layer it with your favorite moisturizer for extra protection from harsh weather. 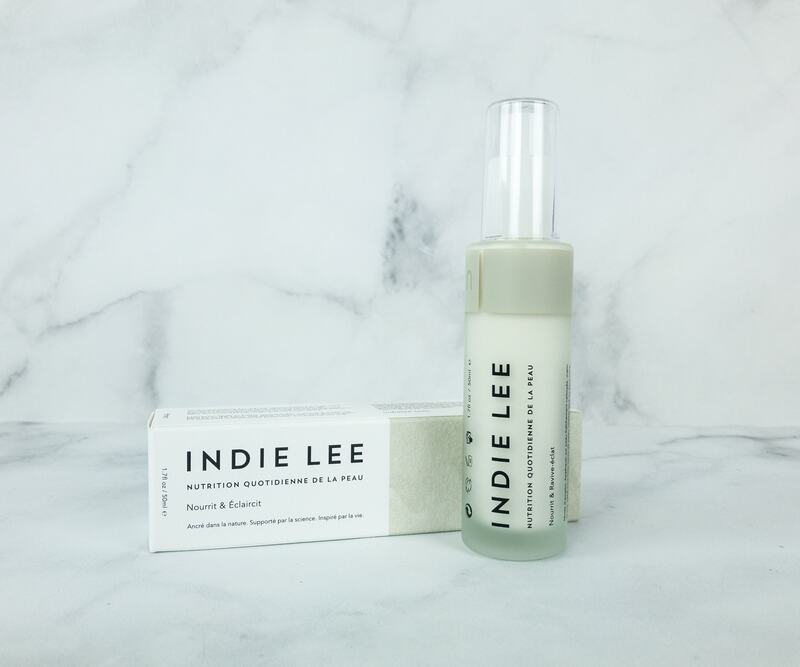 Indie Lee Nutrition Quotidienne De La Peau ($80) Squalene, rosehip seed, olive, and avocado oils are combined in this light cream to soothe and moisturize the skin. It also contains vitamin E and rosemary leaf extracts that protect the skin from environmental stressors. Other key ingredients are hyaluronic acid and vitamin C. It’s so powerful, yet so gentle on the skin. 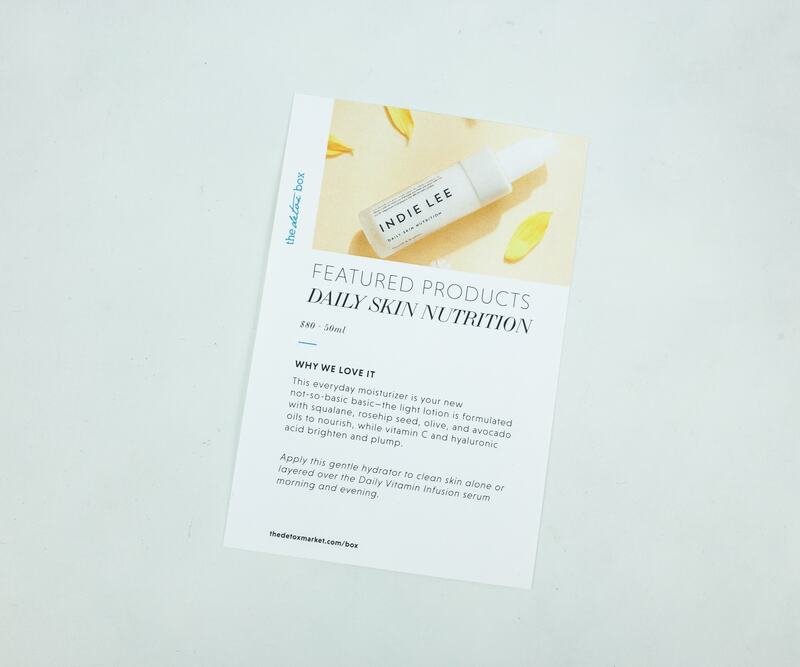 The formula is also weightless and gets easily absorbed by the skin, leaving it soft and smooth all day long. 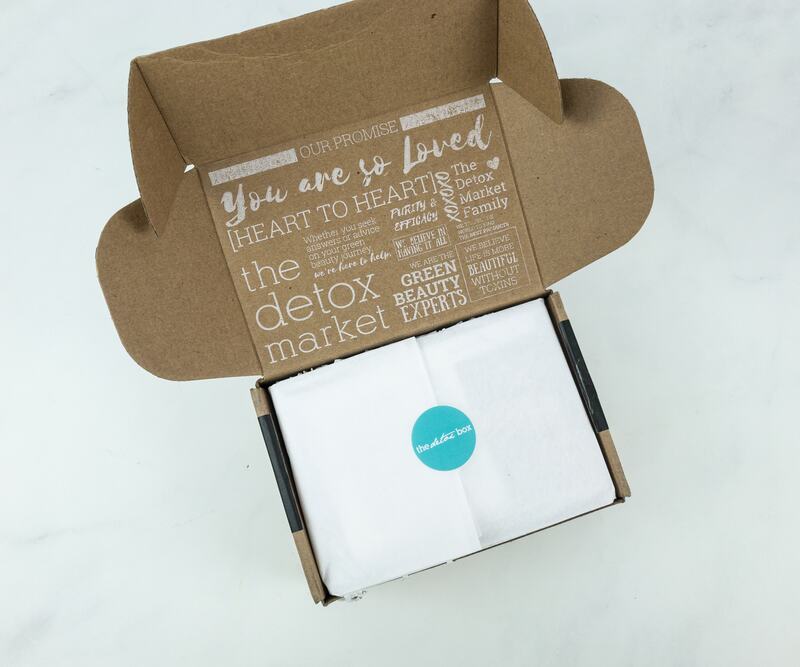 I always get excited about new skincare products from The Detox Box and they never disappoint! 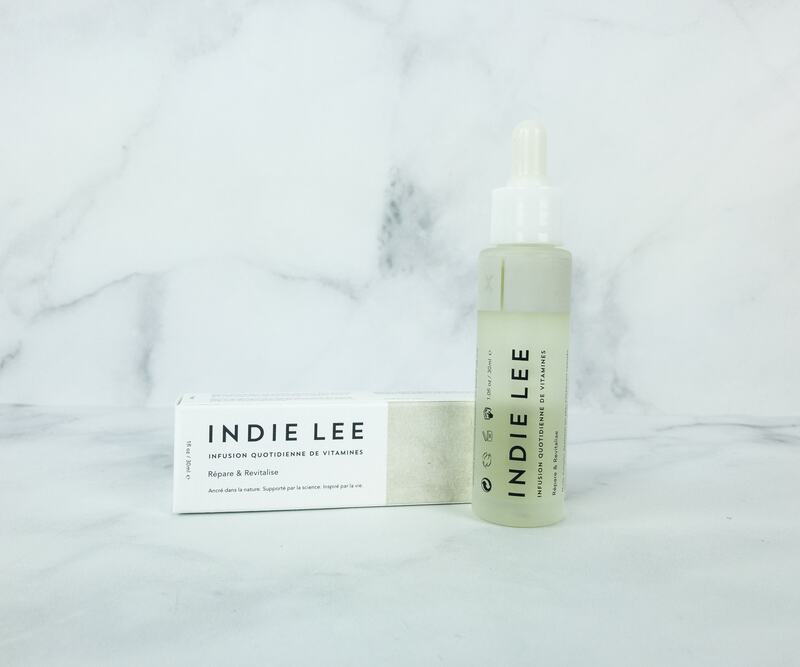 This month, I got three from Indie Lee and they are all perfect for my skin type. I can do a routine using all of them, starting with the cleanser, followed by the facial oil, and then the moisturizer. They’re all made with the finest ingredients that help in keeping my skin glowing and hydrated. 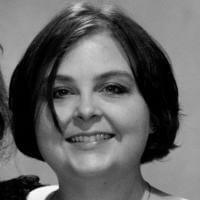 I just love it when I don’t have to worry about my skin getting dry and chapped!